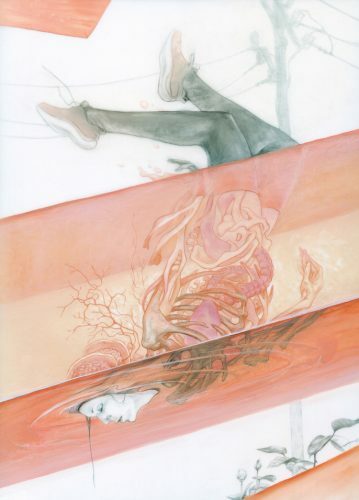 Gabriella provided art for this month's story, "Salt Lines" by Ian Muneshwar. This interview was conducted by email in May 2018. Gabriella Eriksson: After going to a Swedish university, I ended up getting an online art education at an American based school, formerly known as TAD. It opened my eyes to a much broader and varied world of art, and it made me passionate about the idea of being a professional illustrator. The school set me on the path to where I am today and gave me art friends all over the world that have made my life so much richer. It’s been a winding road, but my stubbornness to pursue art in a way that I find meaningful has kept me moving forward with integrity (and occasionally it's gotten me into trouble). This last year it seems that things are starting to fall into place, and I’m very excited for how my life as an illustrator will shape up in the years to come. © 2017 Gabriella Eriksson, "Secret"
Tory Hoke: The figures, textiles, and compositions in your illustrations have a sculptural quality. How did you develop this style? What other media do you work in? Gabriella Eriksson: My education had a heavy emphasis on the fundamental art skills, such as learning how to realistically convey form through light and shadow. I’ve always been drawn to paintings that have that quality but still retain a painterly feel, keeping some of the mystery by not going for hyper realism. That is something that I strive for in my work--finding that balance between realism and painterly magic. I only work with two-dimensional media, surprisingly; actual sculpting has never agreed with me. Maybe it has something to do with my phobia of wax dolls and taxidermy. Tory Hoke: Tell me about your Fear//Acceptance "FLOAT" and "LEAP." What inspired you to create these works? Where have they been exhibited? Gabriella Eriksson: A few years ago I initiated a life-changing event that had a profound emotional impact on me. The experience I had of going through with something that was just too frightening to be conceivable, and the almost surreal bliss I felt as I accepted that and did it anyway--freeing myself of a tremendous burden--was something I’ll never forget. I had to express it visually somehow. After much thought and ideation, I arrived at LEAP. © 2017 Gabriella Eriksson, "Fear"
While LEAP is about going through something, FLOAT is more about being in the experience with integrity intact. They are inspired by a very effective technique for dealing with anxiety that I was taught long ago, which is to let the sensation envelop you without judgement. 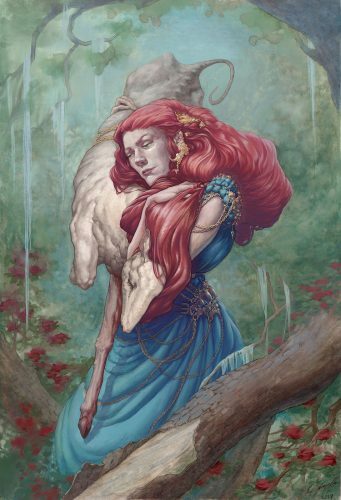 They were exhibited in the showcase of Illuxcon last year and selected for inclusion in the book Infected By Art Volume 6, where LEAP won a silver medal. Gabriella Eriksson: I wish to stir an emotional response, hoping that ideally something about the art will resonate and inspire. I don’t really care whether the viewer interprets the piece the same way I do. Ideally it will resonate and inspire a narrative that is personal to them. Gabriella Eriksson: I actually don’t know. The choices I’ve made have caused me to become a bit geographically isolated. I don’t mind it that much. The art community I feel I belong to is spread out over the world and currently concentrated in the United States. It gives me good reasons to travel often and it has broadened my perceptions, though I have always felt a bit restless and misplaced in my own country, and I dream of moving far away one day. © 2017 Gabriella Eriksson, "Rituals"
Gabriella Eriksson: So many, but the one my mind always jumps to first is Yoshitaka Amano. I’m forever spellbound by his illustrations and designs. I also have a box of collectible art cards by Jeffrey Catherine Jones that I truly treasure. They feature a full color image on the front and a pen and ink drawing with some short prose on the back. I love her art even more after reading the corresponding prose. Gabriella Eriksson: Bold fashion designs and unconventional beauty! 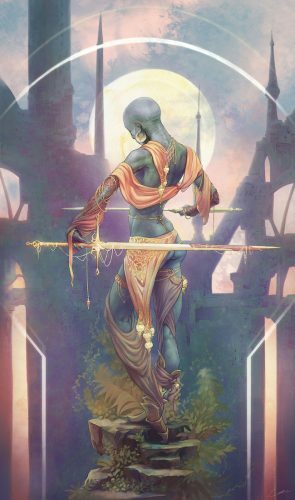 I want to see the genres branch out and be re-imagined by artists that aren’t invested in the nostalgia of classic F/SF, and who look way outside the genres for inspiration. I long to see more world-building that feels truly different and brave--uninhibited by our typical biases and stigmas. 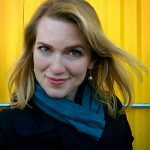 Gabriella Eriksson: Games in all shapes and forms can be such a powerful way to tell stories in interesting ways, and that has always excited me. I would love the chance to work as an illustrator on a project involving a narrative-heavy interactive experience with fascinating world building and nuanced characters. Gabriella Eriksson: I’m looking forward to a project this summer that involves several illustrations to be used as murals in a studio space. It's definitely a new type of challenge for me, and I’m very excited to take it on!